Lake Cherokee has been known by several names over its long history. 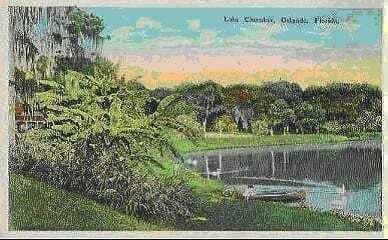 Originally, it was called Lake Eva, after a member of the Lee family, then it became Lake Minnie after Minnie Hall before finally becoming Lake Cherokee. 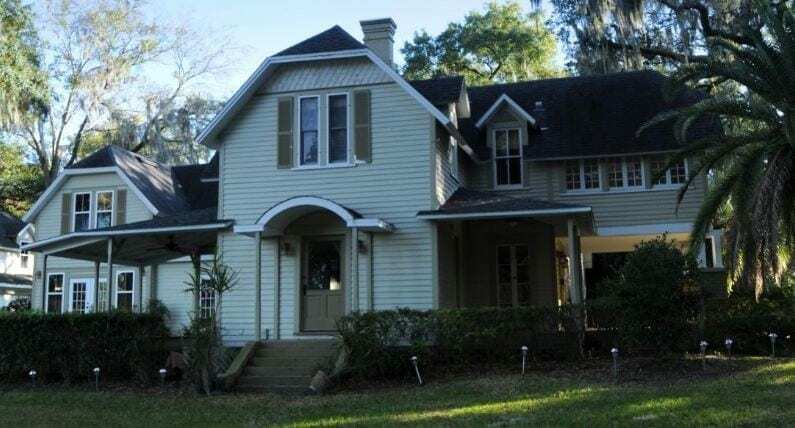 Building began around the lake in the early 1870’s when John Poyntz and Minnie Hall wed and built their home on the shore of the lake (which was know as Lake Eva at the time, but took Minnie’s name because of their being the first settlers to build here). The Poyntz’s neighbors were John’s brother Oliver who married Minnie’s sister Fannie and built their house on the lake as well. 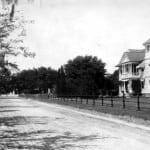 In fact, the trend of newlyweds building their homes on the banks of then Lake Minnie continued and an area of five houses all built by newlyweds in the 1880s became know as “Honeymoon Row.” The Queen-Anne Style Poyntz-O’Neal House (1887) and the Gunby House (1887) are the only two houses remaining from the original “Honeymoon Row” after the other houses were razed to make way for newer construction before the area was protected as a historic district. Also, notable in the district is the eclectic Dr. Phillips House (1893) with its Romanesque tower and Greek Revival front gable. The home is located on the banks of Lake Lucerne and was lucky to be saved from the wrecking ball when the East/West Expressway came through its front yard. 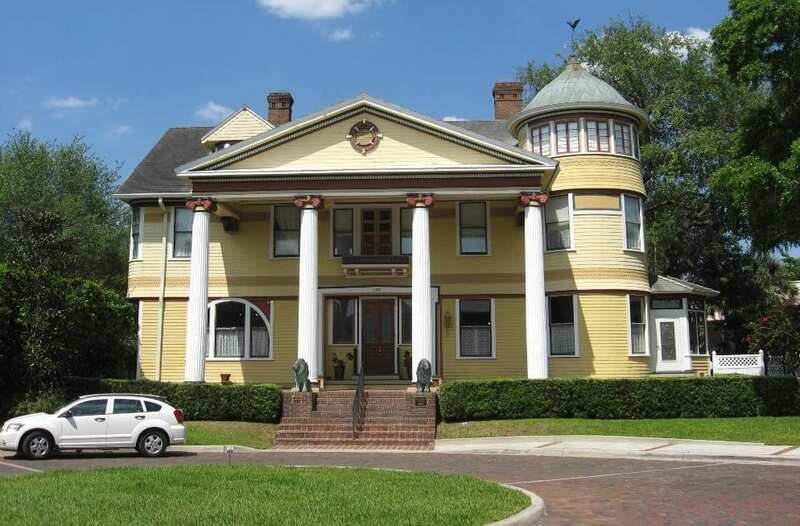 These three houses are fantastic architectural examples of the early days of Orlando, built during the citrus boom. Cherokee School opened for classes in 1927. 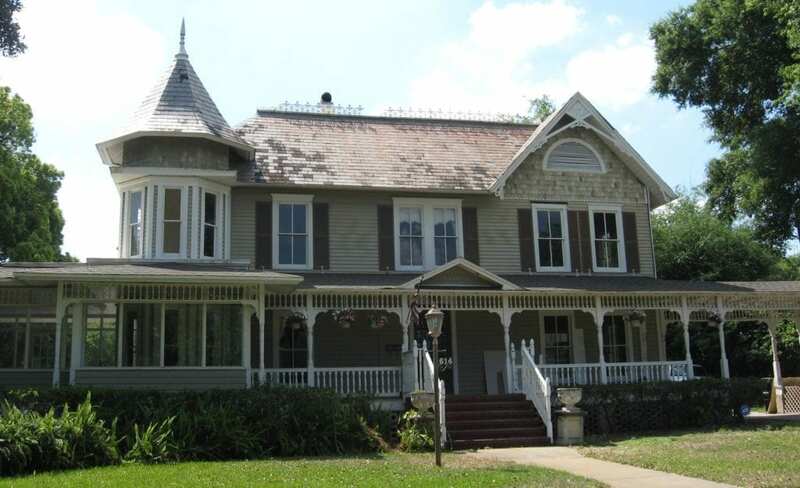 The district also contains many homes from the Florida Land Boom in the 1920s of varying styles including Craftsman Style bungalows, Mediterranean, Tudor, and Colonial Revivals. One interesting grouping of bungalows is located at 545 Delany Ave. and called Hovey’s Court. Built between 1913-1919 and consisting of 9 bungalows all facing each other to create their own neighborhood these homes were used as guest cottages for visitors to the city. Today they have been adapted for use as offices, but retain much of their original character. 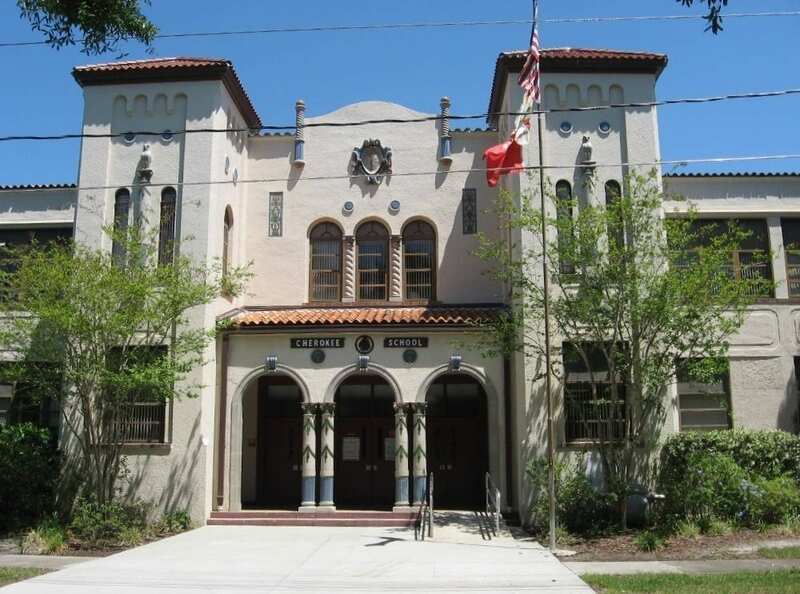 Also in the district is the beautiful Cherokee School (1926) built in the Mediterranean Revival Style with its brightly painted intricate designs that have been meticulously preserved over the years. 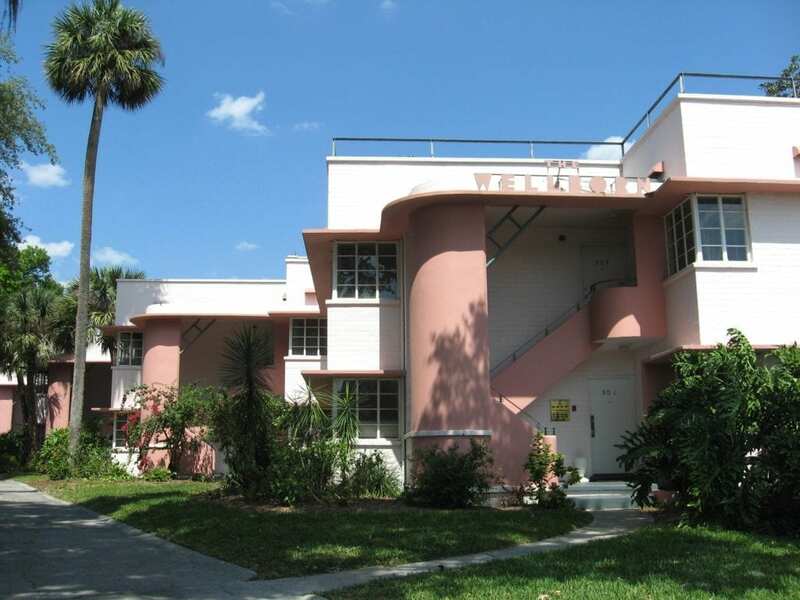 The Art Deco Wellborn Apartments. The Wellborn Apartments (1947). Located doors away from the Dr. Phillips house the Wellborn apartments were built by Wellborn Phillips in a style typical of the finest Art Deco designs of New York and Miami at the time, and cleverly situated so that almost every living room of the 16 apartments has a view of the lake. 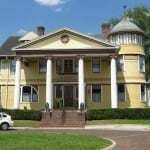 The Lake Cherokee Historic District is an eclectic mix of buildings that represent several time periods of Orlando’s history. There are so many intriguing places of interest in this neighborhood and so many stories from decades and centuries past that it can teach us if we’re willing to listen. 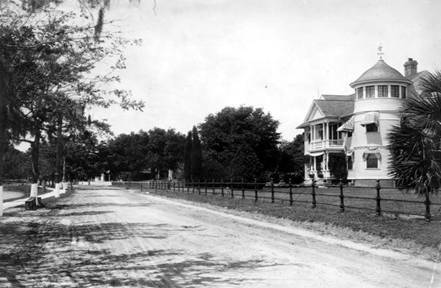 Dr. Phillips House c. 1900. The 2nd story porch was removed around 1912. Hi Scott. My Great Grandfather was Charles Albert Hovey, who was the builder of Hovey Court. His son in law was my Grand father Edward Delbert Kenyon built about 27 homes in the Lake Cherokee Historic Dist. We were in Orlando in Feb and I sheared the photos we have on his houses. I would like to do a book/report on his homes.